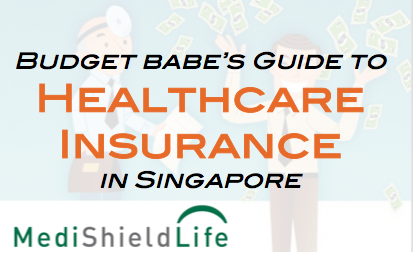 On top of the coverage provided by your employer and MediShield Life, here's what you must know about healthcare insurance in Singapore. 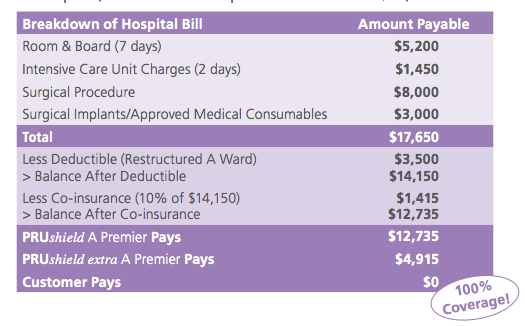 When I first started buying my healthcare insurance, I couldn't find any satisfactory resources to help educate me on what types of policies were available, what was necessary, how much should I be spending, how do the plans by private insurers work on top of our MediShield (now MediShield Life), etc. If one is not careful, we could potentially end up like this Singaporean who chalked up $85,000 in hospital bills and whose claims were rejected by AIA. 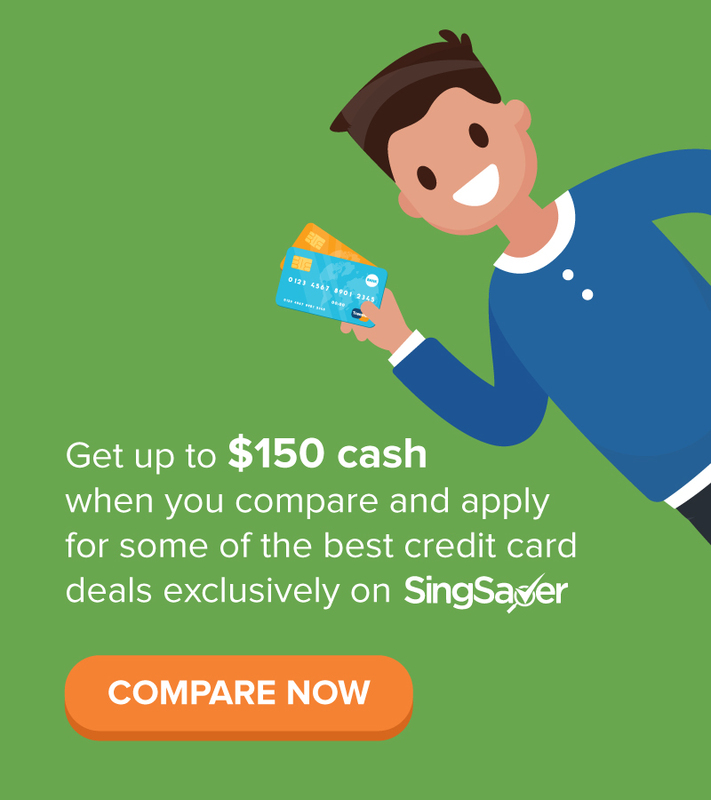 One of the top 5 reasons as to why people in Singapore get into debt includes unexpected medical bills - either for themselves or a loved one. Thus, I decided to write this guide to help anyone who might be feeling lost, as I was in a few years ago. I've tried to make it as comprehensive as possible, using my own experience and what I wished was available, but if there is anything else you feel I should add on to this guide, please let me know by leaving a comment below! 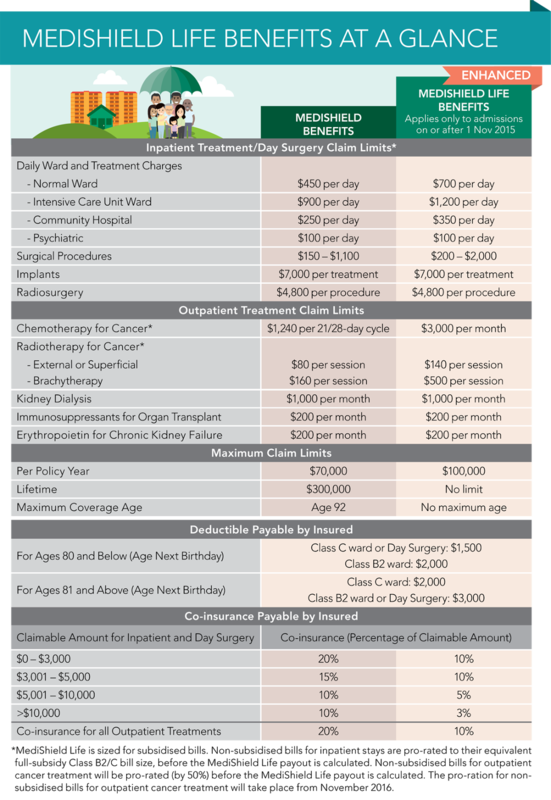 On top of MediShield Life and IPs, there are other types of healthcare coverage one can purchase. Depending on your needs and budget, you will have to decide which ones are the must-haves vs. the good-to-have for you. Please consult a financial consultant if you're uncertain. In my scenario, I only opted for the first 2 due to limited budget right now. CI coverage is not something I currently have, although I will be looking at adding that later on when my income (hopefully) increases in the coming years. 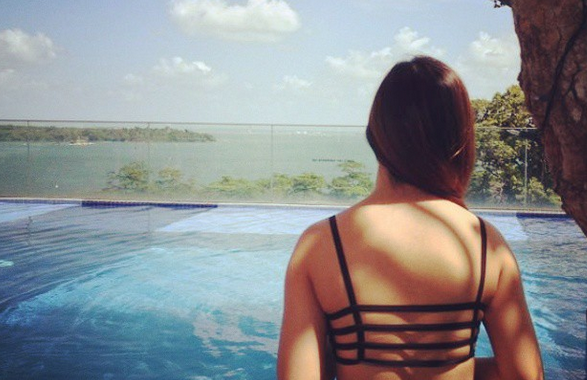 You can read this post to better understand my rationale behind this decision. 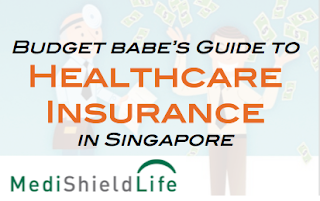 I'll be focusing on what I believe should make up a healthy medical insurance portfolio for the average Singaporean in this guide - namely MediShield Life and IPs. 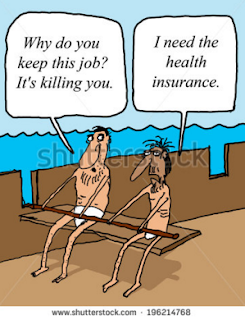 In my previous post, I elaborated on why relying on just your MediShield and / or your medical insurance provided by your employer might not be enough...and could even be potentially detrimental in certain circumstances. Given that the average hospital bill in Singapore has doubled in the last decade, we might even find ourselves saddled with a huge bill that we are unable to pay off. 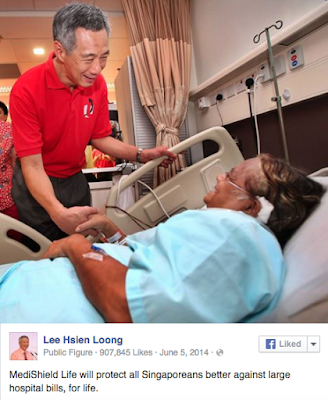 In fact, there's a classic joke that in Singapore, "one can die but cannot fall sick" because of the high hospitalization costs! 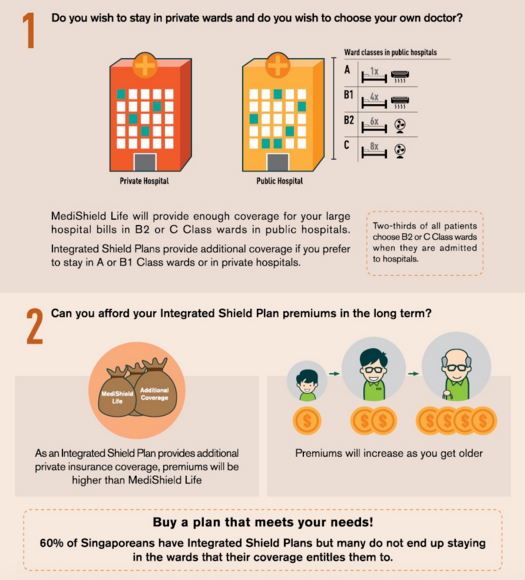 Since MediShield Life was only introduced 2 months ago, there are still many people who do not really understand what the changes entail are (actually, I know of many Singaporeans who do not even have basic knowledge of MediShield). In short, MediShield has been enhanced to MediShield Life (since Nov 1, 2015) to cover a larger proportion of hospitalization bills while also providing more benefits. Some people think that since the premiums are now higher, MediShield Life is a "premium" insurance policy that can allow them to upgrade to better wards and more. Wrong! It is important that we know MediShield Life is still fundamentally a basic hospitalization insurance. Misconception #1: I do not need to buy additional medical insurance because I am already covered by MediShield Life. 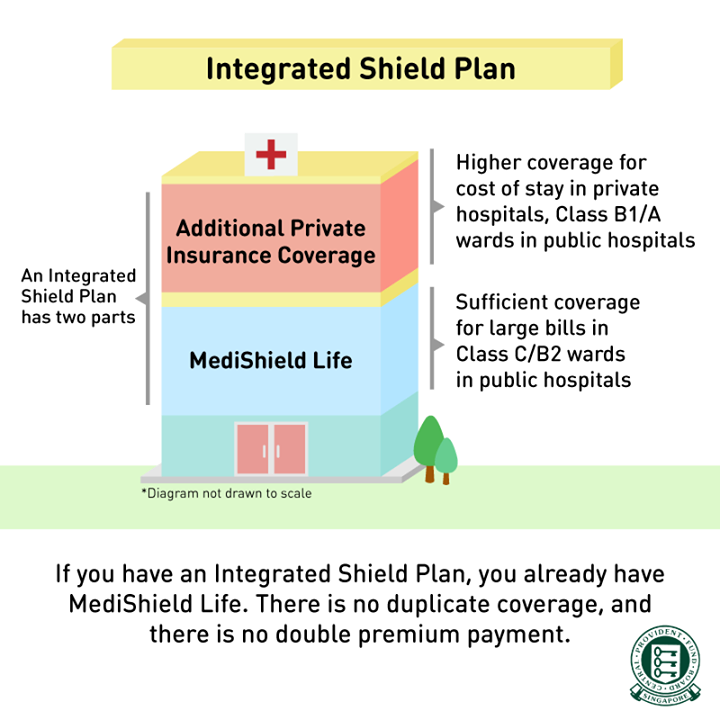 MediShield Life is designed to cover stays in Class B2/C wards in public hospitals. There are also limits that you should be aware of (more details below) which means you will not likely encounter a scenario where your payable hospital bill is zero. There are also co-payment features like deductible and co-insurance, but the co-payment amount can be paid for with Medisave. Although you'll also be covered by MediShield Life if you stay in a private hospital or a Class A/B1 ward, your payouts will make up a smaller proportion of the bill. As a result, you will need to pay more of your bill using either your Medisave funds or cash. 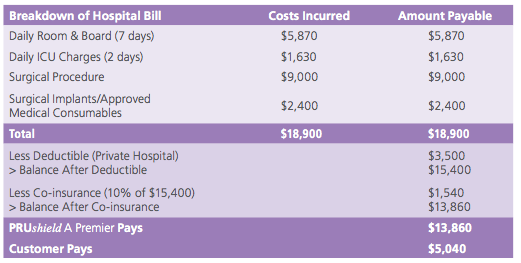 Furthermore, MediShield Life still does not cover pre and post-hospitalization costs. If you want protection for that, you should definitely consider buying an Integrated Shield Plan to top up. 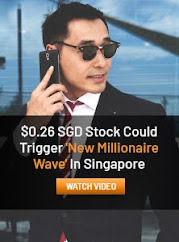 This is a very compelling argument brought forward by many Singaporeans, including my previous insurance agent. 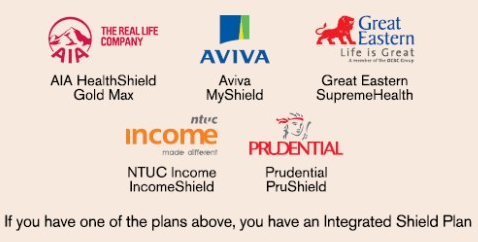 While it is certainly valid, I have examined why relying on just your MediShield Life and / or your medical insurance provided by your employer might not be enough and shared why I chose to buy an Integrated Shield Plan (IP) for additional coverage and peace of mind. Misconception #3: I am double-paying for my premiums under the new MediShield Life. This was a very popular concern that was brought up multiple times throughout the year when the plans for MediShield Life were announced. Thankfully, we are NOT double-paying for our premiums in any way at all as the premiums we pay to our insurance companies already includes the premiums for MediShield Life. There is no duplicate coverage either (nice try!). Misconception #4: I should switch to a more attractive Integrated Shield Plan as better plans get launched over time. While it is true that private insurers often launch better and more competitive plans as the years go by (it was a big joke comparing my mom's insurance vs. my current one), it does not necessarily mean that you should upgrade. 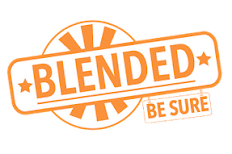 I have encountered many insurance agents at Starbucks trying to convince their prospective clients to cancel on their existing plans and "upgrade" to theirs instead. But if you want to do that, do note that you'll be effectively waving goodbye to the protection you previously enjoyed for existing medical conditions under your old plan, or potentially even pay more for the same level of coverage given the changes in your medical history. 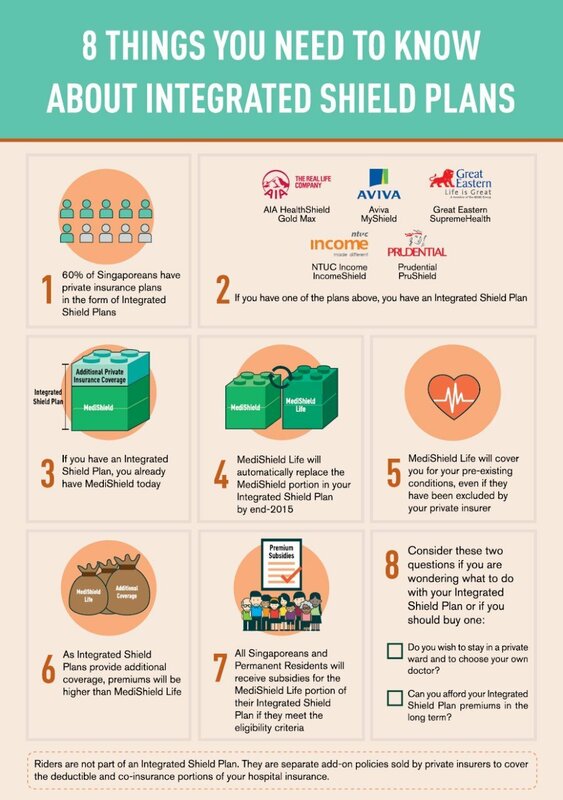 So how do MediShield Life and Integrated Shield Plans work together? 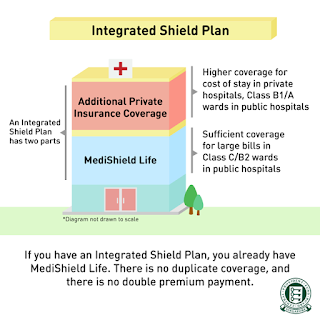 To make things simple, think of both policies in this manner: MediShield Life is for basic healthcare coverage, whereas IPs supplement by providing additional coverage if you prefer to stay in private wards (Class B1/ A wards in public hospitals or private hospitals) or if you wish to choose your doctor. Although more Singaporeans are now opting to stay in C-class wards for the subsidies and lower costs, we can never accurately predict what will happen in the future. What if you get diagnosed with a major illness and need certain levels of care that private hospitals are more equipped to provide? What if you need privacy and a better quality of rest in order to fully recover, which you may not always get in public hospitals? Those were some of the questions I asked myself before I decided to go ahead with my IP. You can view a list of the other questions I considered in a later post. 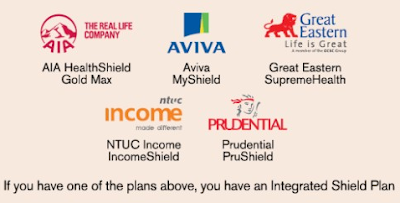 Where can I get an Integrated Shield Plan? Deductible: The upfront amount you'll have to pay first toward your medical expenses before the insurance company start to pay your claims. The deductible amount accumulates across bills within the same policy year and is payable only once per policy year. This helps to sieve out small bills, which can be paid using Medisave and/or cash, and thus helps to keep premiums affordable. Co-insurance: The percentage of your medical costs you'll have to pay after you reach any deductibles that apply. Riders: Products offered by private insurers that provide additional benefits or protection on top of your existing policies, such as receiving cash allowance when you are hospitalized. You can also choose to add on riders for additional benefits such as not having to pay deductibles and co-insurance (that's where you can potentially get zero-dollar bills!) or receive hospital cash benefits for each day of your stay. The types of riders and benefits vary among the insurance companies. I'm a kiasu Singaporean, so I opted for an IP with enhanced riders for greater coverage. The costs are still largely affordable for me, but should there ever come the day when they become too pricey for me (a scenario unlikely to happen since I'm building up my emergency funds and investments), I will not hesitate to terminate these riders. Can I use my Medisave to pay for my Integrated Shield Plan? How much should I be spending on my healthcare insurance? This depends on how much healthcare coverage you can afford. Do note that you should also account for the fact that your premiums will become more expensive as you grow older. Currently, I'm paying slightly less than $800 in annual premiums for my MediShield Life and the top-up portion from my private insurer (including riders) in total. Assuming I retire by 65, the annual premiums then will still be in a manageable range of under $4,000 (I intend to let my investments pay for these premiums by then). There are some who argue that CI cover, early-stage CI cover and other policies are crucial, but ultimately, you'll have to make your own decisions and bear the consequences of your choices when it comes to protecting and funding your healthcare needs. I hope this guide helped! I got most of my resources from CPF's Are You Ready website and updates from their Facebook page. If you're ever in doubt, feel free to check out these resources as well to clarify. If there's anything else you feel I should add on to this, please let me know by leaving a comment below! Since MediShield Life is designed to cover stays in Class B2/C wards in public hospitals and most people preferred to stay in Class C wards even though they have IPS, is IPS a real need or a perceived need? I personally see it as a real need, because MediShield Life is not meant to be an all encompassing coverage for our hospital stays. Factor in things like co-payments and deductibles, which most Singaporeans naturally expect as a "given" whenever they buy into any sort of insurance policy --> this is not the case in MediShield Life, and if you want these riders instead, you still need to look towards an IPS. Insurance is definitely a method of risk-management where there is of monetary payment a guarantee perfect about the section of a cloud-computing company for particular possible problems. hi this is sanjay thanks for the blog on health insurance but i want information about Family Health Plan. This blog consists of accurate information that helps to understand the insights of the Healthcare Email lists, it provides information about the benefits and advantages of Healthcare Email Lists. 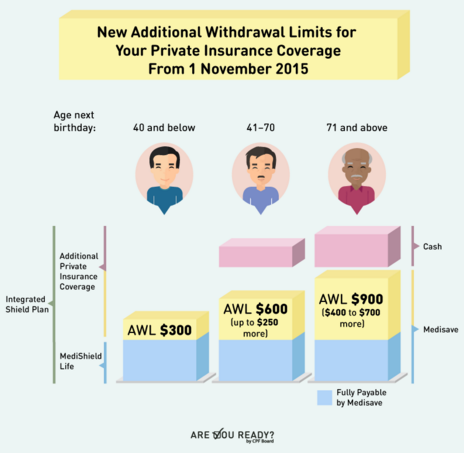 Hello, its fastidious post concerning Healthcare insurance in Singapore. Healthcare insurance is very important for everyone, Thanks to this guide its helpful for everyone. Do you know that Optimized360 is the #1 Healthcare Website company in the world? - Continuous patient care with physician involvement to monitor the patient in real time. At Savvycom – A software development company, we have been offering strategic IT solutions to our clients since 2009, specifically, Savvycom’s domain technology is in healthcare mobile apps that build adherence and engagement. Our healthcare mobile app developers with their seasoned experience and passion for IT offer development services that are always in alignment with the clients’ vision as well as bring the greatest experience to both physicians and patients.